The idea with this series of pieces is to make the sound move through the space. This has been resonating on my mind for a while and it comes from performing live and having the audience static in one place and the sound source coming from fixed speakers. Since then I started to make pieces for at least quadraphonic sound system and giving a special attention to the spatialization on the space. Sound mapping is great for a live show but I want to move the sound source itself freely around the space to feel how the sound travels, how the sound source diminishes or rise, accelerate and resonates with the space and the people. 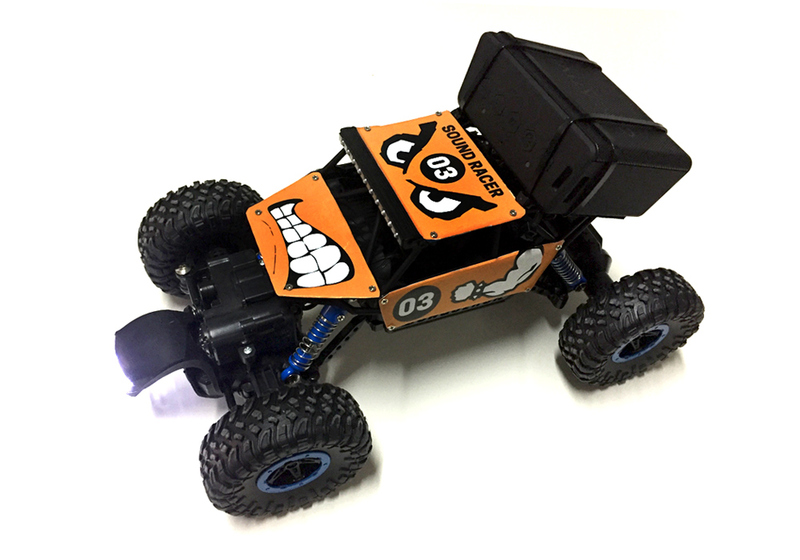 I thought about a device that can carry the sound around and the Radio Controlled Cars where a great tool, equipped with Bluetooth speakers. I compose a piece for QUADRA (4 cars). Each car is like a track and the 4 together completed the piece. The 1st Iteration in this project with the cars is FREESTYLE. The cars are given to the audience to pilot them freely, so there is no rule or path to follow, just to have fun and make the sound move around the space. The 2nd Iteration is a SOUND RACE, with the idea of creating a circuit or race track with curves, jumps, obstacles to make the sound bounce, distorted and even to crash the cars to alter the sound. NOTE: The piece is not limited by the amount of cars, in fact I would like to make a composition for 16 cars or 32 cars (I mean, as much as possible). I wanted to use all the possible space to make the sound travel, dance and move around, so the air was really important to use and make the sound variation so interesting because we deal with with a new factor that the cars cannot reach which is different heights. For this I selected Radio Controlled Helicopters equipped with Bluetooth speakers. The Helicopters are given to the audience to fly them around the space freely. 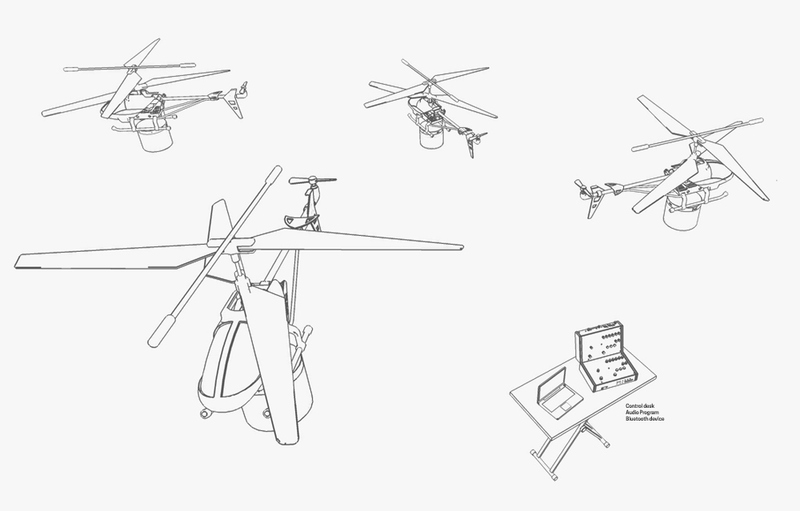 As a Special Iteration of this project, I made a piece in homage to K. Stockhausen and his project “Helicopter String Quartet” making 4 R. C Helicopters perform a “Helicopter Synth Quartet”. NOTE: likewise than with the car piece, the amount of Helicopters is not limited. The composition can be for at least 2 Helicopters (STEREO) or as many as possible. I will make a special presentation of this series for the Loom Festival (May 19th) which will be a quadraphonic composition for two R.C cars and two R.C Helicopters.